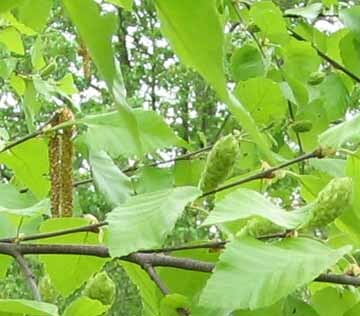 Native Americans used many parts of several species of birches for food and flavoring. NativeTech.org How Indians Use Wild Plants for Food, Medicine and Crafts. Indians also used the bark as a covering on and strucutral support for dwellings. They made water proof food containers from the bark which preserved the food. Commonly recognized by a white bark with horizontal lines, the birch can actually have white, cream, yellow, brown and nearly black colored bark. 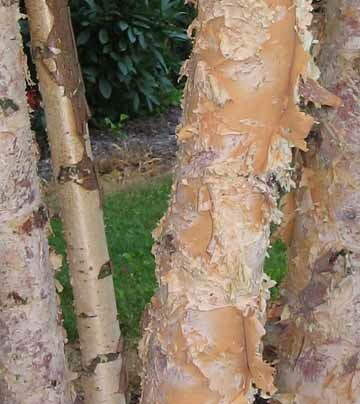 The bark of the white birch, also called canoe birch, has been used for centuries to make birch bark canoes. 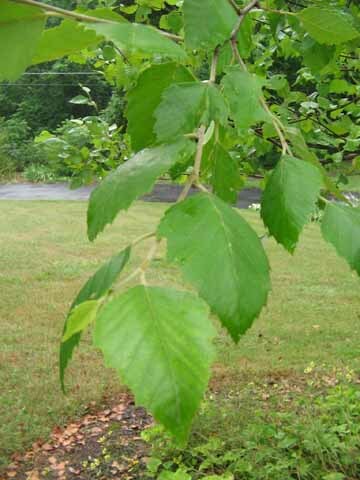 Birch is a pioneer species, the shade intolerant tree is one of the first colonizers of fire disturbed or clear-cut lands. It is a wonderful landscape tree with 4 seasons of interest. Birches are excellent focal points in a garden bed. River Birch flowers in the spring. 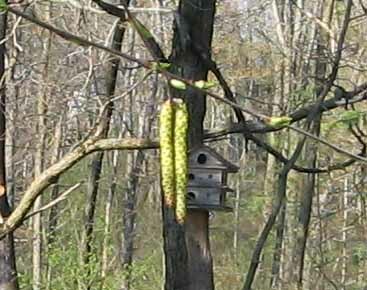 The male flowers are catkins. Female flowers are cone shaped. The seeds are a favored food of goldfinches.